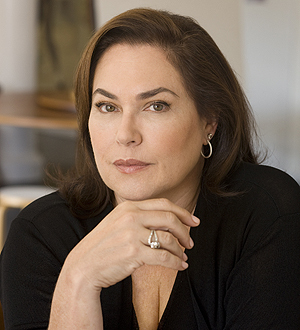 New York Times bestselling author Amy Bloom is hailed “a national treasure” by Michael Cunningham and “one of America’s unique and most gifted literary voices” by Colum McCann. She is the author of four novels, three story collections, a nonfiction book and a children’s book. White Houses (2018) is a triumphant historical novel that tells of the unexpected and forbidden affair between Eleanor Roosevelt and Lorena Hickok in the White House, where Hick’s status as “first friend” is an open secret. About White Houses, the Financial Times reflects: Breathtakingly intimate and with the grandest of historical sweeps. If White Houses isn’t an example of the great American novel then frankly, I don’t know what is. Lucky Us (2014), a deeply moving, fantastically funny novel of love, heartbreak, and luck, was named one of the Best Books of the Year by the Washington Post and was chosen by Oprah as one of her top 10 books of 2014. The New York Times bestseller Away was praised by Entertainment Weekly for the way it “encapsulates all the cultural richness that newcomers contributed to this nation of immigrants in the early part of the 20th century.” Love Invents Us, Bloom’s first novel, is an unsettling tale of desire in which she shows us how profoundly the forces of love shape our lives. Bloom’s short fiction includes Where the God Of Love Hangs Out, a New York Times bestseller; Come to Me, a National Book Award finalist; and A Blind Man Can See How Much I Love You, a National Book Critics Circle Award finalist. Her first nonfiction book Normal: Transsexual CEOs, Crossdressing Cops and Hermaphrodites with Attitudes, is a staple of university sociology and biology courses. Bloom is the author of a children’s book, Little Sweet Potato, about appreciating one’s self and finding a community that takes all kinds. A National Magazine Award winner, Bloom has demonstrated her versatility and wit in the essays she has written for magazines such as The New Yorker, The New York Times Magazine, Vogue, The Atlantic Monthly, Slate, and Salon, on subjects as diverse as cooking lasagna, marrying at 50, and a history of portrait-painting. Her work has been translated into fifteen languages. A lively, funny, provocative speaker who engages young and old, both sides of the aisle and both sexes, Amy’s talks on The Ethical Life, Good People and Bad Behavior, A Good and Happy Life and Why It’s Hard to Live One are favorites. During the all-too-brief popular weekly podcast of The Ethicists at the New York Times, Amy Bloom’s common sense, understanding, and humor was listened to and enjoyed by thousands. A practicing psychotherapist for twenty years (after being a waitress, a bartender, an actor, and a peanut-picker), Bloom has an acute understanding of human nature and an ear especially attuned to the inner and outer voices of her characters. “I spent my professional life exploring the gap between what people said and how they said it, the chasm between what they felt and what they said they felt,” she has said. She is the Distinguished University Writer-in-Residence at Wesleyan University. Amy Bloom is the author of four novels: White Houses, Lucky Us, Away, and Love Invents Us; and three collections of short stories: Where the God Of Love Hangs Out, Come to Me, and A Blind Man Can See How Much I Love You. Her first book of nonfiction, Normal: Transsexual CEOs, Crossdressing Cops and Hermaphrodites with Attitudes, is a staple of university sociology and biology courses. She has written for magazines such as The New Yorker, The New York Times Magazine, Vogue, The Atlantic Monthly, Slate, and Salon, and her work has been translated into fifteen languages. She is the Distinguished University Writer-in-Residence at Wesleyan University. 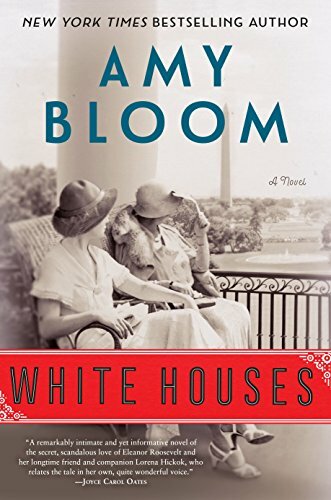 From Washington to Hyde Park, from a little white house on Long Island to an apartment on Manhattan’s Washington Square, Amy Bloom’s new novel moves elegantly through fascinating places and times, written in compelling prose and with emotional depth, wit, and acuity. 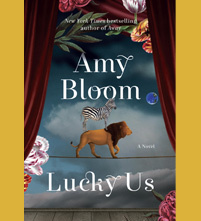 From Amy Bloom, the beloved and critically acclaimed author of Away, comes a remarkable novel about the creation of an unconventional family—a brilliantly written, deeply moving, fantastically funny story of love, heartbreak, and luck. Disappointed by their families, Iris, the hopeful star, and Eva, the sidekick, journey across 1940s America in search of fame and fortune. Iris’s ambitions take them from small-town Ohio to an unexpected and sensuous Hollywood, across the America of Reinvention in a stolen station wagon, to the jazz clubs and golden mansions of Long Island. With their friends in high and low places, Iris and Eva stumble and shine through a landscape of big dreams, scandals, betrayals, and war. Filled with gorgeous writing, memorable characters, and surprising events, Lucky Us is a thrilling and resonant novel about success and failure, good luck and bad, the creation of a family, and the pleasures and inevitable perils of family life. From Brooklyn’s beauty parlors to London’s West End, a group of unforgettable people love, lie, cheat, and survive in this story of our fragile, absurd, heroic species. When Little Sweet Potato rolls away from his patch, he is forced to search for a new home. He stumbles upon some very mean plants on his journey and begins to wonder if maybe he is too lumpy and bumpy to belong anywhere. Will Little Sweet Potato ever find a home that’s just right for him? Amy Beth Bloom and Noah Z. Jones have created a funny and timeless tale about appreciating one’s self, lumps and bumps and all, and finding a community that takes all kinds. Propelled by Bloom’s dazzling prose, unmistakable voice, and generous wit, Where the God of Love Hangs Out takes us to the margins and the centers of real people’s lives, exploring the changes that love and loss create. A young woman is haunted by her roommate’s murder; a man and his daughter-in-law confess their sins in the unlikeliest of places. In one quartet of interlocking stories, two middle-aged friends, married to others, find themselves surprisingly drawn to each other, risking all while never underestimating the cost. In another linked set of stories, we follow mother and son for thirty years as their small and uncertain family becomes an irresistible tribe. Insightful, sensuous, and heartbreaking, these stories of passion and disappointment, life and death, capture deep human truths. Panoramic in scope, Away is the epic and intimate story of young Lillian Leyb, a dangerous innocent, an accidental heroine. When her family is destroyed in a Russian pogrom, Lillian comes to America alone, determined to make her way in a new land. When word comes that her daughter, Sophie, might still be alive, Lillian embarks on an odyssey that takes her from the world of the Yiddish theater on New York’s Lower East Side, to Seattle’s Jazz District, and up to Alaska, along the fabled Telegraph Trail toward Siberia. All of the qualities readers love in Amy Bloom’s work—her humor and wit, her elegant and irreverent language, her unflinching understanding of passion and the human heart–come together in the embrace of this brilliant novel, which is at once heartbreaking, romantic, and completely unforgettable. My father’s wife died. My mother said we should drive down to his place and see what might be in it for us. There was no one like my mother, for straight talk. She washed my neck and ears until they shone. We helped each other dress: her lilac dress, with the underarm zipper, my pink one with the tricky buttons. My mother did my braids so tight, my eyes pulled up. She took her violet cloche and her best gloves and she ran across the road to borrow Mr. Portman’s car. I was glad to be going and I thought I could get to be glad about having a sister. I wasn’t sorry my father’s other wife was dead. I had always planned to kill my father. When I was ten, I drew a picture of a grave with ALVIN LOWALD written on the tombstone, on the wall behind my dresser. From time to time, I would add a spray of weeds or a creeping vine. By the time I was in junior high, there were trees hung with kudzo, cracks in the granite, and a few dark daises springing up. Once, when my mother wouldn’t let me ride my bike into town, I wrote, Peggy Lowald is a fat stupid cow behind the dresser but I went back the same day and scribbled over it with black Magic Marker because most of the time I did love my mother and I knew she loved me. The whole family knew that my mother’s feelings were Sensitive and Easily Hurt. My father said so, all the time. My father’s feelings were also sensitive, but not in a way that I understood the word, at ten; it might have been more accurate to say that he was extremely responsive. My brother, Andy, drew cartoon weather maps of my father’s feelings: dark clouds of I Hate You, giving way to the sleet of Who Are You, pierced by bolts of Black Rage. Everyone has two memories. The one you can tell and the one that is stuck to the underside of that, the dark, tarry smear of what happened. The scar across Lillian’s chest is a dull red line. The scar on her shoulder is a fat little oval of rough, ridged purple with a thin curdled edge of whiter skin, made by the hot underside of a steel soup spoon. She has been asked about it a few times, by an interested man, an interested woman. The interests are not the same. There is the curious caress, the soft cluck of the tongue from a man who might break your heart the way he ignores you during dinner but when he comes to the scar later he fingers around and across it to the white buttons on your camisole, like you are a sweet, quivering bird, Sh-sh-sh.